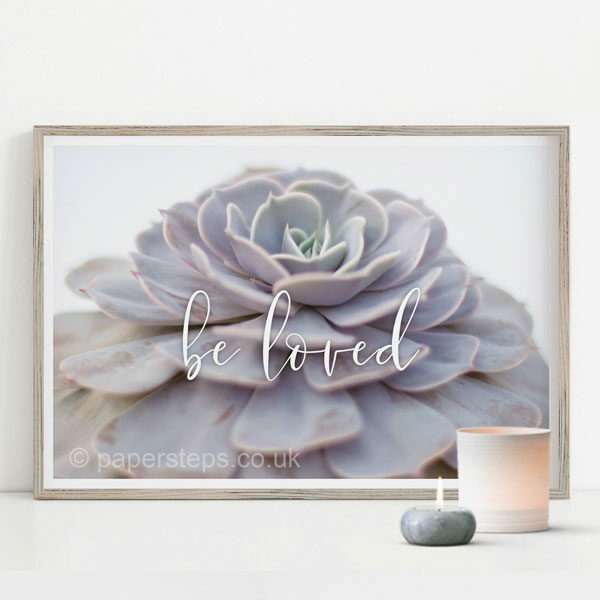 White calligraphy writing of the words “Be Loved” over a Grey succulent Echeveria plant to create a stunning photographic art print to suit any room home decor. 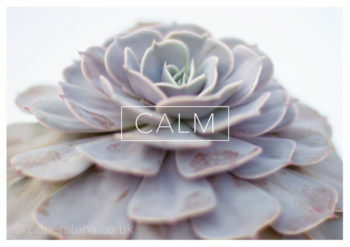 No stock photography used, its all our own work. 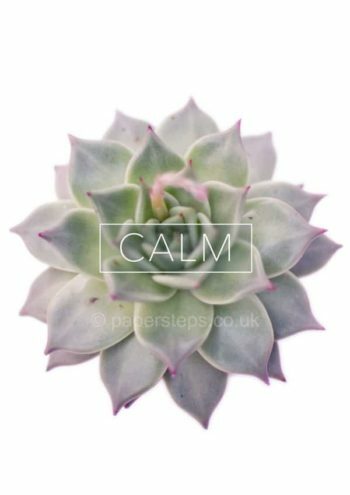 This print comes in a range of sizes and perfect for any room of your home. 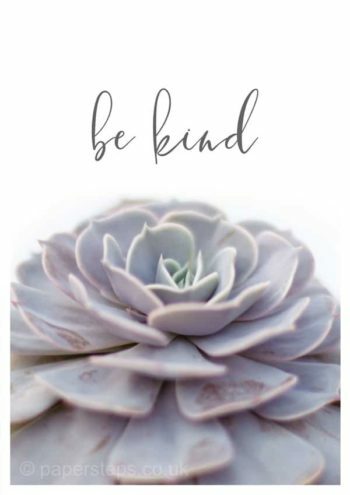 Living room, Dining room, it will make a fantastic gentle kitchen print or even if you want to give a classic look to your bathroom. I can create any location you want! 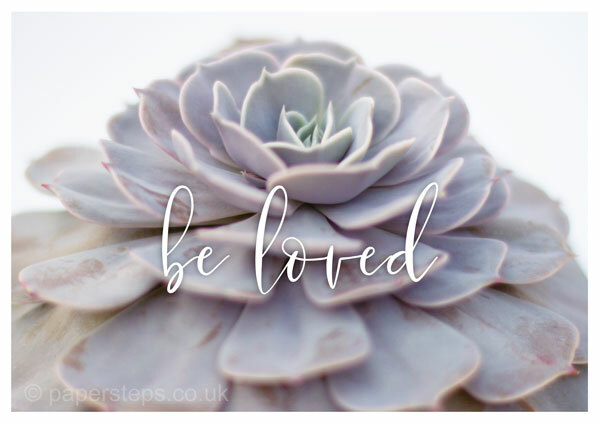 As with all my prints these designs are affordable, can be delivered anywhere in the world!